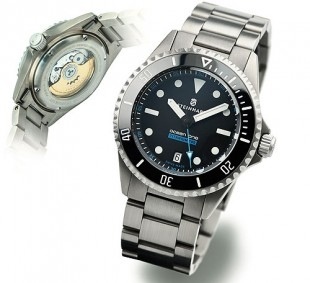 Rob McNelis created WatchJudge.com as a user-generated buyer's guide for watches. In the blog section of his site, Rob has a series of five-question interviews with watch bloggers including Yours Truly, Joshua Claire-Flagg of Watch It All About, and some guy named Ariel Adams. I thought it might be fun for Rob to answer his own five questions. So tonight, I bring you the Watch Judge interviewing himself. 1. What watch or watches do you currently own? Rolex Explorer II 16570 Polar - K Serial, circa 2001, solid end links, holes case, lume, box, papers, links etc. 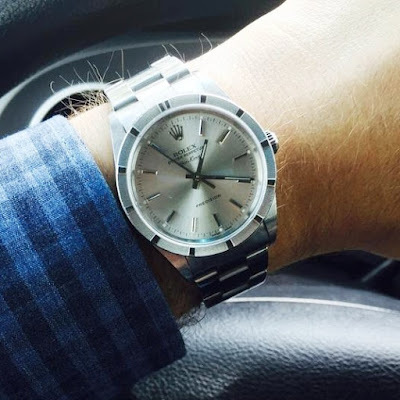 The most expensive watch I own, and my grail until I purchased it on The Rolex Forums (Rolex forums.com). Now I'm scouring the web for my next unachievable achievable timepiece. This was a big purchase for me, but I think it's one of the best deals out there in terms of being able to hold its value. I paid $3,900 shipped and I don't see myself getting any less than that if I chose to sell it 20 years from now. I don't plan on selling it, but that cements it as a good buy in my mind. Also, I think it's one of the most underrated Rolex watches in terms of popularity. A sub in similar condition/age will run you $4,500 minimum. Oh, and that white dial speaks to me! Rolex Air King -This was a gift from my parents for high school graduation (2005). It means the world to me, and I will pass it on to my kids one day. It's only 34mm and I'm proud that I chose not to sell it for a bigger piece (I've matured since then lol). To me it's like a contemporary example of a vintage dress watch - sophisticated, understated, and totally baller under a suit (yes, I used "matured" and "baller" in the same paragraph). Bernhardt Sea Shark - My first well-researched purchase after college. 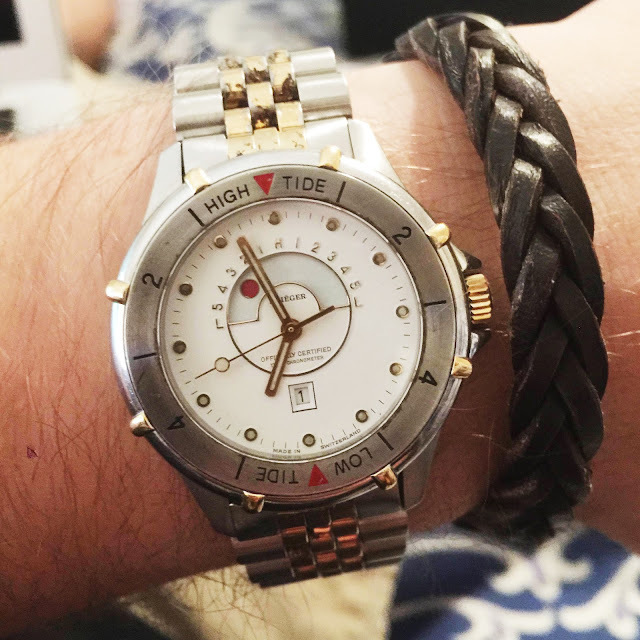 I had a tight budget at my first corporate job, and this was my "good enough for the time being" sports watch. At this time, I was dying for a Rolex sub, but ultimately settled on the Explorer II a few years later. This is another watch that has grown on me a great deal. It's by a small company out of North Carolina, and the owner Fred responds to customer service emails. I can feel his passion every time I look at it. His son designed the hour markers around the age of 10ish. I forget exactly how old he was, but he was young. 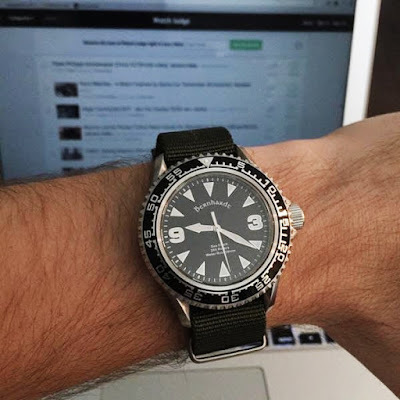 Recently, I threw a green NATO on it because I felt the bracelet, while solid, wasn't going to compete with the Explorer II. I think it looks awesome. 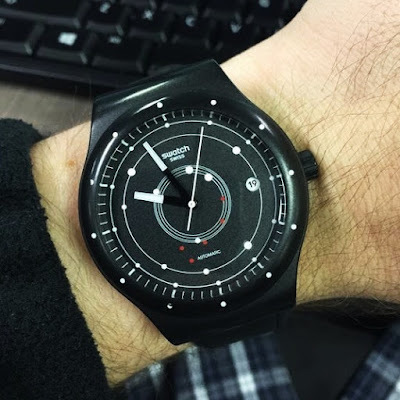 Swatch Sistem 51 - Hard to have more fun with a watch under $200. I wear this watch regularly. It's 100% swiss made by robots. Something like 19 patents pending, auto with a 40-hour power reserve. Good stuff! 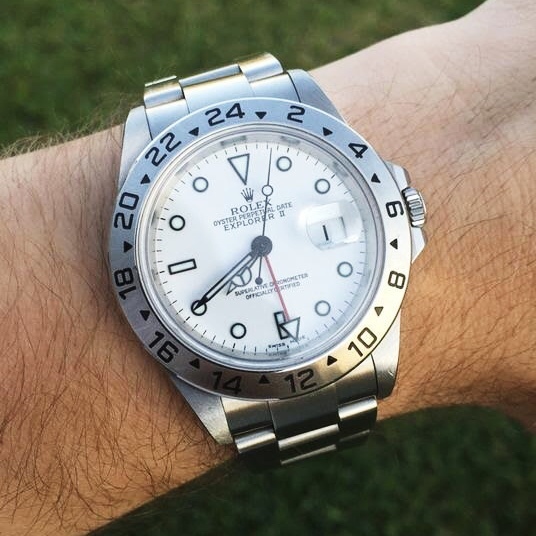 My Rolex Explorer II, because it's the nicest watch I own and it represents years of hard work. Some of my others are more meaningful, but just being honest, I freakin' love this watch. Hard to get it off my wrist. 3. What is your favorite watch that you hope to own eventually and why? Three brands pop into my head: A.Lange and Sohne, Patek Philippe, and Ressence. To be honest, I don't look at them often enough to know which models I would want the most. For a specific brand and model that I can think of, I would say a gold Rolex Datejust. That's a power watch! Gold isn't very popular anymore, which is part of why I am so attracted to it. It's retro, timeless, high quality, and flashy all at once. In my price range, the Explorer II, which is why I bought it. If I had to pick the lowest cost watch that had everything I wanted, it would be the new Steinhart Ocean Titanium Premium (for now). My favorites change frequently. This baby has a Soprod A10-2 Top Swiss Made, Automatic movement, with a ceramic bezel, super lume, unique design, and more. It's going to sell like hot cakes. 5. What's the URL of your watch website, when did you start it, and how do you plan on making it stand out?